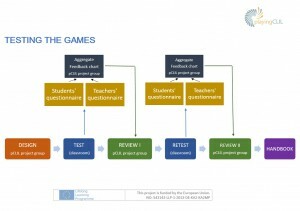 The process of testing the games started with the design of the questionnaires. 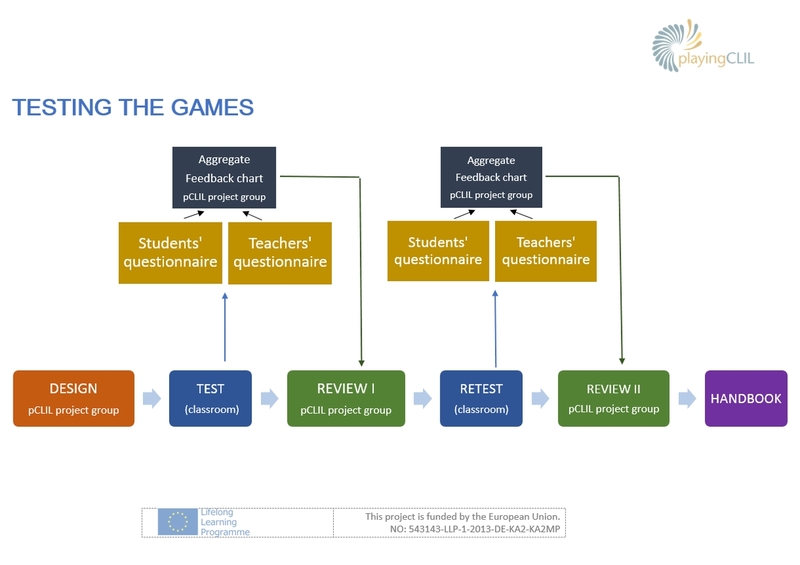 The pCLIL-project group did this with the help (feedback loop) of the teachers who later on would use these questionnaires to test the games. The testing takes place in the classroom and the teachers (also testers) and the students will complete the questionnaires and send them back to the pCLIL-project group. The group will create a feedback chart and will review which games have been tested, and in which subjects and educational stages. After this, the games will be re-tested in different subjects and educational stages and the testing phase will conclude with a second review. Finally, the project group will choose the games that will be used to create the handbook, which will be the final product of the project.